Major, bipartisan campaign finance reform got off to a great start yesterday when both the State Assembly and State Senate Committees that have jurisdiction over campaign finance reform legislation held a rare joint public hearing on two major campaign finance reform measures. These measures are strongly supported by Common Cause in Wisconsin (CC/WI) and a number of other organizations -- as well as by many citizens not belonging to any organizations. Further, for the first time ever, the Legislature conducted a hearing simultaneously in two Wisconsin cities -- Eau Claire and Madison -- via teleconferencing, which seemed to work without any glitches. 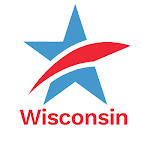 CC/WI provided testimony at the hearing in support of a measure to require the disclosure of the donors and regulation of the money used to fund currently undisclosed, unregulated campaign communications masquerading as issue advocacy (better know as "phony issue ads"). We also testified in support of a measure to provide full public financing to qualified candidates for the State Supreme Court who voluntarily agree to abide by spending limits totaling $400,000. To read CC/WI's testimony, go here. To hear the Wisconsin Public Radio news story about the public hearing, go here. It is now up to each of the committees to consider the reform legislation and vote to forward it to the full State Assembly and State Senate for consideration and a vote. CC/WI fully expects this will occur sooner rather than later -- perhaps even before the deadline for completion of the biennial state budget, which is June 30th. Campaign Finance Reform Takes Off...Tweet this!